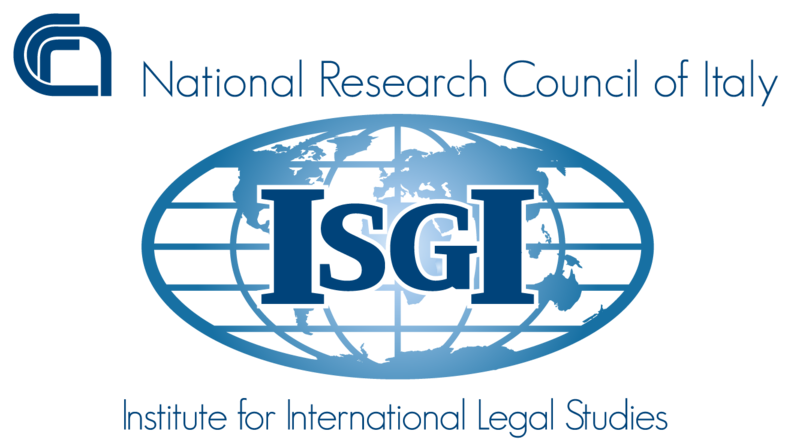 The Institute for International Legal Studies (ISGI) is an independent scientific body within the National Research Council of Italy (CNR), with its headquarters in Rome (www.isgi.cnr.it). Directed by the CNR senior researcher Ornella Ferrajolo, ISGI carries out research, training and high consultancy activities in the field of International and EU law. One of its main tasks is monitoring the Italian contribution to the evolution of international law (“Italian Practice in International Law”, www.prassi.cnr.it) and its application in Italy (“Italy and International Law”, http://www.larassegna.isgi.cnr.it/en/), with a special focus on human rights. Disarmament, Prevention of the Arms Race in Outer Space (PAROS) and Long Term Sustainability of Space Activities, Terrorism and Non-Proliferation, Law of War and Humanitarian Law are ISGI long-standing fields of research pursuing the initiative of its founding Director Sergio Marchisio. pierfrancesco.breccia@uniroma1.it Pierfrancesco Breccia is PHD candidate in International Law at Sapienza University of Rome. His main research focuses on the application of international law to space activities with a special attention to the legal regime related to the prevention of an arms race in outer space (PAROS). He is also interested in legal aspects connected to JCPOA. In 2016 he has been conferred the Prof. Dr I.H.Ph. Diederiks-Verschoor Award by the International Institute of Space Law. raffaele.cadin@uniroma1.it Raffaele Cadin (Italy) is Professor of International Law at the University Sapienza of Rome and Associate Professor to the ISGI since 2008. His research focuses on the UN Security Council and its activity against threats to peace and security , including nuclear non-proliferation. debora.ca debora.capalbo@uniroma1.it Debora Capalbo is a PhD Candidate in International Law at Sapienza University of Rome. Her main research topic focuses on the legal aspects of nuclear disarmament and more specifically on the obligation to negotiate in good faith nuclear disarmament. In 2015 she took part to the Informal Conference on Disarmament held in Geneva. She attended a 2nd level Master Programme in International Protection of Human Rights, and in this context she did and internship at the International Research Institute “Archivio Disarmo”. rachele.cera@cnr.it Rachele Cera is a CNR Researcher at the ISGI since 2005. Her subject expertise includes energy law with a focus on nuclear law and its dual use. She also works on the prevention of weaponization of outer space through the adoption of transparency and confidence building measures. She contributed to ISGI scientific support activities to the Ministry of Foreign Affairs in the framework of the EU-CFSP-CODUN initiative for the elaboration of the Code of conduct on space activities. andrea.crescenzi1@virgilio.it Andrea Crescenzi, PhD in International Law (Sapienza University of Rome). He is a CNR Technologist/Researcher at the ISGI, from 2010. Since 2004, he has been carrying out research activities in international law field at the ISGI, with specific experience on disarmament and non-proliferation of nuclear weapons. He is a ‘Correspondent’ of the Yearbook of International Humanitarian Law (T.M.C. Asser Institute, The Hague) and chargé de cours (2018-2019) on Humanitarian Affairs at the (CoRiS – Sapienza University). valentina.dellafina@cnr.it CNR Senior researcher in international law at the ISGI. Her research activities concern mainly the law of international organisations, with a particular focus on UN Security Council’s evolving practice in the maintenance of international peace and security through peace operations. Co-ordinator of the ISGI annual report on Italian practice in international humanitarian law, as a part of the Yearbook of International Humanitarian Law (T.M.C. Asser Institute). ornella.ferrajolo@cnr.it Ornella Ferrajolo (Italy) is the Acting Director of the ISGI-CNR, where she works as senior researcher since 2001. She is a specialist on Space Law, Law of International Organizations, Human Rights and Humanitarian Law. Her main research interests include the operation of mechanisms on compliance and conflict prevention at the international, the EU and the state levels. viviana.iavicoli@cnr.it Viviana Iavicoli is a CNR Researcher in International Law and Space Law at ISGI. Since many years, her studies are mainly focussed on the use of nuclear power sources in outer space. She serves also as Italian Expert at the Working Group of the Scientific and Technical Subcommittee of the UNCOPUOS Working Group on the Use of Nuclear Power Sources in Outer Space (since 2006). Member of the Board of Directors of the Master Degree in “Space Institutions and Policy” (co-organized by ISGI, Italian Space Agency-ASI, SIOI). sergio.marchisio@cnr.it Founding Director of the ISGI-CNR, Sergio Marchisio (Italy) is Full Professor of International Law at the University Sapienza of Rome. Since 2007 he is Chairman of the European Centre for Space Law (ECSL) at the European Space Agency (ESA). Member of the Italian delegation to the UNCOPUOS, he served as Chairman of the Legal Subcommittee (2004-2006). Representative of the Italian government in a number of international conferences, he acts as Legal Expert of the Ministry of Foreign Affairs. From 2002 to 2011 he chaired the Committee of Governmental Experts entrusted to negotiate the UNIDROIT Space Assets Protocol to the 2001 Cape Town Convention. Italian delegate to the CODUN EU’s Council, in 2010 he was appointed as Member of the Task Force of the EEAS-EU on the draft Code of Conduct for Space Activities. ilja.pavone@cnr.it Ilja Richard Pavone (Italy), PhD in International Law at the University Sapienza of Rome, joined the ISGI-CNR as Research Fellow in 2006. His activities focus on Nuclear Disarmament and Weapons of Mass Destruction (WMD), chemical disarmament in Syria, the EU Non-Proliferation Clause, NATO, START III. He is responsible of a joined project with Landau Network-Centro Volta on NBC disarmament and arms control matters. carlo.trezza@esteri.it Ambassador Carlo Trezza is a retired Italian career diplomat. He concluded in 2015 his mandate as Chairman of the Missile Technology Control Regime (MTCR). In 2010 the UN Secretary General appointed him as Chairman of his Advisory Board for Disarmament Matters. Previously he had served as Diplomatic Advisor to the Italian Minister of Defence and Co-Director of the Istitute for High Defense Studies. In 2003 he chaired the Conference on Disarmament in Geneva. Prior to becoming Italy’s Permanent Representative for Disarmament and Non Proliferation in Geneva , he served as Ambassador of Italy to the Republic of Korea. He was a Coordinator for Security and Disarmament and Head of the Office of the Secretary General at the Ministry of Foreign Affairs. He is currently Senior Adviser for Disarmament and Non Proliferation of the Italian Institute of International Affairs (IAI) in Rome. He also coordinates the Italian group of the London based European Leadership Network for Disarmament and Non Proliferation and is a member of the Scientific Board of the Nato Defense College Foundation.